From a totally fresh perspective, with unique access to some of the remotest regions and species living beyond the confines of captivity, Wild Africa is a contemporary photographic record that takes you into the heart of one of the world's last natural paradises. 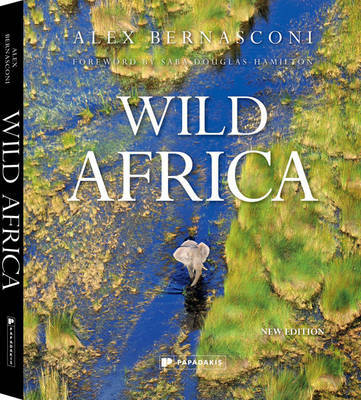 The result of painstaking expeditions across the continent, Alex Bernasconi's photographic document contains some of the most novel, surprising and spectacular images of Africa and its wildlife. In the one thousand eight hundred images a week that Bernasconi takes of some of nature's finest and most endangered animals, wildlife photography is embodied at its most honest and creative. These are unique images by a photographer motivated to preserve for posterity the most exceptional panoramas of wildlife in its true habitat that we have today. This is a visual testament to the best of our planet.